Crazy 8: Up to 75% off entire site, extra 15% off coupon code, and free shipping! The Crazy 8 Black Friday Sale is going on through tomorrow! They have the entire site on sale up to 75% off original prices, plus free shipping on your order. On top of that, you can use coupon code MOM15 at checkout to save an additional 15% off your purchase. 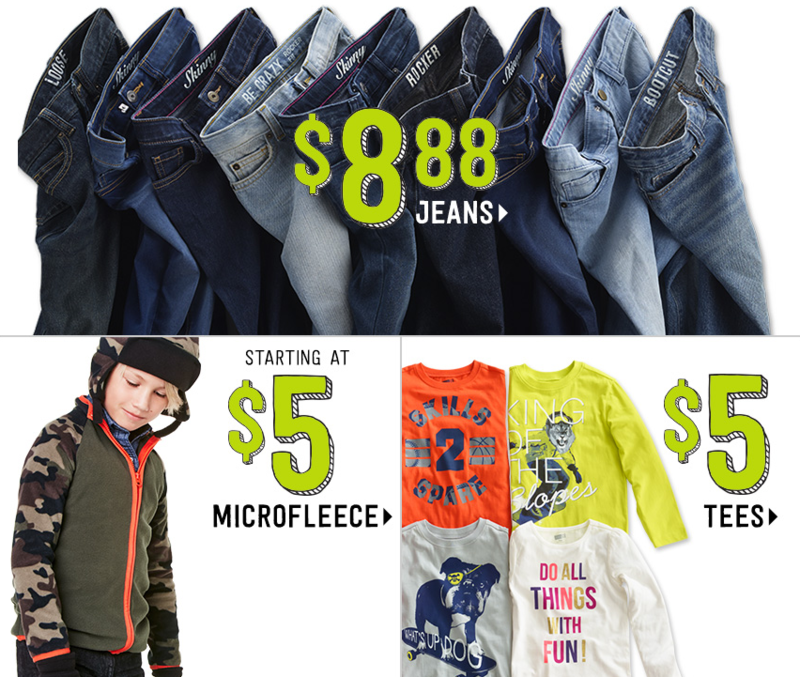 With the coupon code and sales combined, you can grab $7.55 jeans, $4.25 microfleece, $4.25 tees, $8.50 pajamas, $12.75 outerwear, and SO much more. Valid for November 26, 2016.